We take a look at all six of Candylab's awesome wooden toys. It's the holiday season, boys and girls. And with that in mind, we've picked one of our favorite new toys of 2018 for an unboxing video. These are Candylab's wooden Candycar diecasts, what the company calls the "world's first wooden diecast." And they’re adorable. Don't let the name fool you, Candycars are not edible – they're made out of wood. 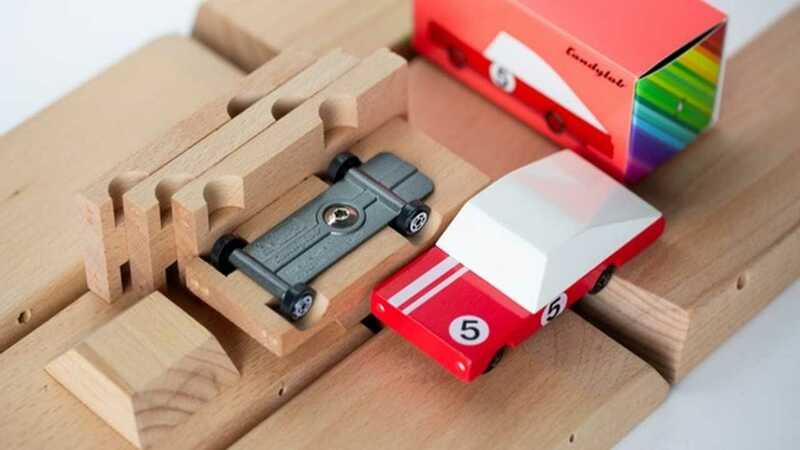 They join Candylab's extensive lineup of wooden cars, which come in a variety of shapes, sizes, and prices. These are the first six: Blue Racer #8, Yellow Taxi, Pink Sedan, Shewiff, Teal Wagon, and Red Racer #5. But the company is bound to add more to the lineup in the near future. Each car starts out life as a block of beechwood. They are then hand-sculpted to fit a Hot Wheels-sized, skateboard-like alloy platform underneath. After final touches like a custom-engineered wood screw and metallic foil paint accents, the cars come boxed individually in anticipation of their new home. "So we set out to design a 'Wooden Diecast' car," says the company on its Kickstarter page. "It sounds really simple but we banged our heads about for 2 years to be able to do this — make a cute, cartoonishly-proportioned wooden body with fun, splashy colors on a custom-designed diecast base. Screw it all together carefully, give it an adorable name and sell it for single digit dollars in the spirit of matchbox cars." 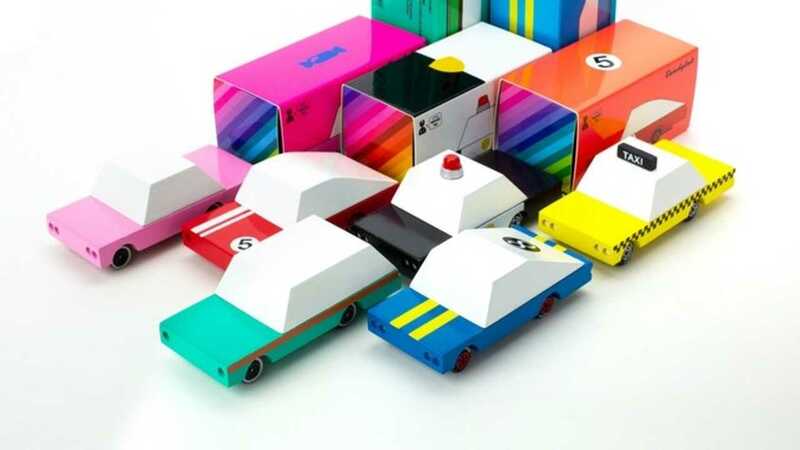 Just in time for the holidays, Candylab offers its Candycars on its website for $9.50 each. They make the perfect gift for kids… and kids at heart like ourselves.